Moxa wool is made of dry moxa leaves (Artemisia vulgaris) ground into a fine powder with the coarse residue removed. It has the properties of warming and removing obstruction of channels, eliminating the cold and damp factors and thus promoting the function of the organs. It is considered that the older the moxa wool the better. The moxa wool may be made in the shape of a cone from the size of a wheat grain to size of half a date stone. direct moxibustion is performed by placing the ignited cone directly over the point on the skin. 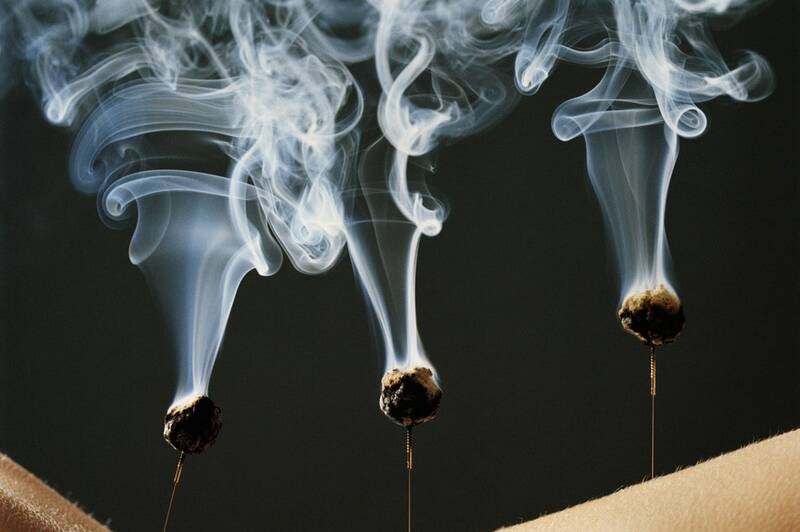 There are two types of this method: the scarring and the non-scarring moxibustion. The theory of making diagnosis and choosing treatment points are the same as acupuncture. It helps free flow of Qi and blood, expel cold dampness from the meridians and help strengthen Yang Qi, therefore help strengthen the immune system. 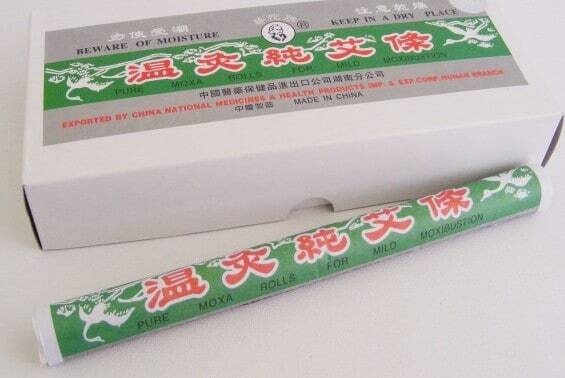 Generally moxibustion is a combined with acupuncture or as a complement to acupuncture treatment.